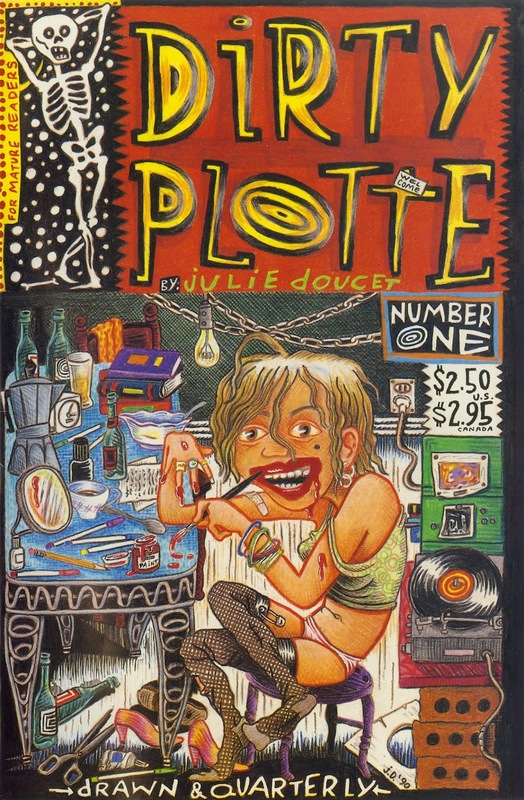 Bado's blog: "Dirty Plotte: The Complete Julie Doucet"
Julie Doucet began making her name in the 1980s with a self-published series of freewheeling zines called Dirty Plotte. 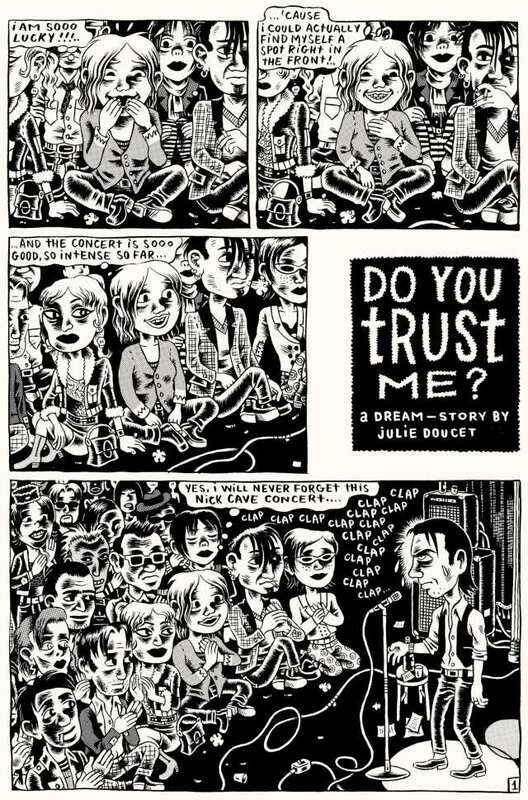 Mostly her own work, but including material from fellow cartoonists and kindred spirits, it took advantage of the form’s under-the-radar status to exercise a giddy freedom in both style and subject. The name itself — a colloquial female anatomical reference if you were conversant in Québécois slang, a complete baffler if you weren’t — couldn’t have been further from mainstream politesse if it had tried. “The two words looked good together,” said the 52-year-old South Shore native in a vegan cafe in Rosemont this month. It’s a long way from there to the just-published Dirty Plotte: The Complete Julie Doucet (Drawn & Quarterly, 569 pages, $149.95). A hefty, deluxe two-volume slipcased labour of love and curatorial obsessiveness, it’s the kind of prestige treatment normally reserved for Old Masters. Seeing that title on such an upscale artifact feels like a symbolic blow struck for the underground. Essentially self-taught, Doucet’s visual style is both raw and rigorous, with a tireless attention to domestic minutiae. Asked to cite influences, she responds with a series of mostly European names likely obscure even to comix adepts. Thematically, Doucet’s mission has been to tell the story of one woman making her way through the world, by any means necessary. It would be a pity, then, if newcomers were scared away by that title, and by some of the more extreme imagery on display. Spend some time with Doucet’s work and it soon becomes clear that the whole range of human emotion is here. The concerns may be those of everyday life, but the treatments draw from the furthest reaches of the imagination. A sit-down session with a Doucet book is an immersive and wholly welcoming undertaking; the quantity gathered in the new box is enough to provide years of companionship. 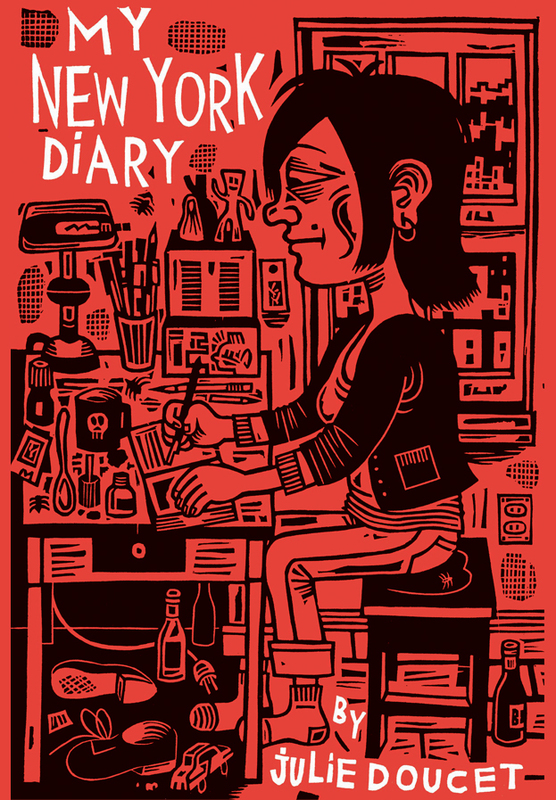 Instinctively fleeing a middle-class suburban upbringing and convent-school education, Doucet studied at CEGEP du Vieux Montréal and UQÀM before following the bohemian trail from New York (grist for the seminal graphic novel My New York Diary) to Seattle when the grunge wave was ebbing (“I got there soon after Kurt Cobain died”) and to Berlin, with intermittent Montreal pit stops. Though her work traces much of that journey, autobiography is a genre designation she resists. “I used myself as a character, a means to tell a story,” she said of her narrative strategy. “Of course it’s inspired by life. “I mean, who would seriously object to the idea of equality for women?” she asked rhetorically. “But as a woman I always felt I didn’t fit anywhere, even in a feminist crowd. Nevertheless, many women found a champion in Doucet. Her readership, largely male in the earliest stages, began to trend more female, to the point where it was roughly 50/50. And it was the young women who tended to write letters to her — as in pre-internet, handwritten, snail-mail letters, to which she would always respond. In 2006, in a development few could have seen coming, Doucet realized that what began as a purely creative endeavour had become a grind. Rather than go through the paces, turning out work when less than completely inspired, she simply took herself out of the game. She has not published any comics since. “It was a job at that point, and I was tired,” she recalled of the decision that was at least two years in germination. “I was living off it, yes, but not making that much money. I was working all the time, which meant not having the time or energy to do other things. There was no pleasure in it anymore. To keep on writing (about myself) … it would have been tedious. 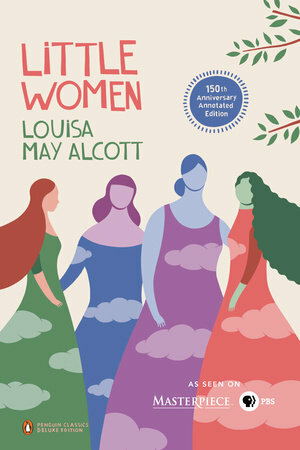 In a sense, Doucet has gone back to her grassroots, small-scale beginnings, doing solo projects and collaborations in a variety of media: sculpture, collage, book jacket design (that’s her work on the cover of the Penguin Classics edition of Louisa May Alcott’s Little Women), a dozen short animated films with sound artist Anne-Françoise Jacques. 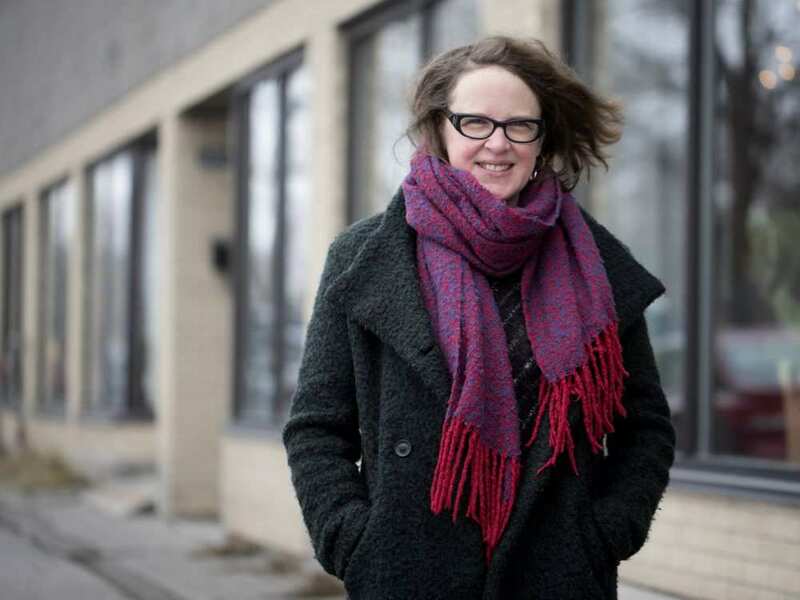 Her wandering days seemingly over, she’s happy in her Petite-Patrie home (“my little shoebox”), visiting friends in neighbourhood cafés and spending time in her favourite place in the city, La Grande Bibliothèque. “Who knows? Not me. It would have to be something completely different from what I used to do, and right now I don’t feel I have any stories to tell. One of the pioneers of modern comics, intimidated by how the form has evolved? It’s an idea that takes some time to sink in. Is the very existence of the new boxed set not its own counter to those feelings?